This blog post is by TTF Managing Director David Hopkins. It originally appeared on the BMJ Supplement for May 2018. In the wired world of the 21st century, regularly communicating timber’s benefits, innovations, sustainability and carbon credentials is part of our daily stock-in-trade. 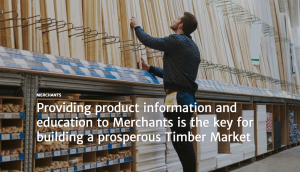 Today’s rise is timber frame construction, engineered timber products such as glulam, and the extension of the mouldings market into MDF for the RMI sector, gives our merchant customers more choice, and more business opportunities. Our next supply chain campaigns, helping our customers to continue selling trusted timber, will concentrate on communicating the right timber treatments for the right uses; straightening the pitch on roofing battens across the merchant customer base; and ensuring the right standards and performance for timber flooring.